Last year, a team from the Royal Netherlands Meteorological Institute found that the fresh water melting from the Antarctic ice sheets had a relatively low density compared to the denser salty seawater. This means that the water accumulates and freezes in the top layer of the ocean during the summer months. Surrounded by North America, Greenland and Eurasia, the Arctic ice cap floats on the ocean, not land. It has lost a large amount of its older, thicker sea ice over the last 30 years, making it more vulnerable to the warming trend. I'm not sure what your point is. Your headline suggests that the article you post is evidence that "warmists" are somehow contradicting themselves, but this isn't borne out in the article. The South Polar glaciers are indeed rapidly retreating (melting) as the article doesn't refute. The glaciers (ice sheets) are of course sitting on land and are not sea ice, nor are they normally responsible for sea ice formation. 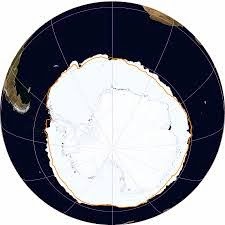 But now, as the glaciers melt increasingly from the bottom and that warmer water flows onto the surface, it freezes, affecting sea ice formation, along with the effects of the circulation of the Southern Ocean, as the article notes. This is just a new finding about how the process works and is not a "paradox" or a contradiction of anything. And yes, "the Arctic ice cap floats on the ocean, not land. It has lost a large amount of its older, thicker sea ice over the last 30 years, making it more vulnerable to the warming trend." This is also not inconsistent with anything going on at the south pole. They're both melting, aas the article plainly says. So if your game is to find story angles showing flaws in the science that will support a "conservative" view, you need to understand the basics so you don't trip over these false contradictions. The planet really is actually warming up way too fast from our massive C02 input and all the opinion in the world will not change the science. The real conservative stance on this would be to put the conservation of what we have left of a livable climate first and your political views second. Nature bats last. "But now, as the glaciers melt increasingly from the bottom and that warmer water flows onto the surface, it freezes, affecting sea ice formation, along with the effects of the circulation of the Southern Ocean, as the article notes." So, you make ice by heating water in the oven? Of course, common sense is enough for most people.